Some believe Puerto Rico’s crushed power grid will emerge as a phoenix, out of the ashes becoming a global model for microgrid development. It’s hard to say yet if that will happen. But draft microgrid rules released last week by the Puerto Rico Energy Commission signal the island could be on the right track. First, note their speed of arrival, an indicator of Puerto Rico’s seriousness in developing microgrids. A little over a month after Hurricane Maria’s devastating September landfall, the commission said it would open a proceeding on electric grid restoration and on November 10 solicited comments on microgrids. Despite the fact that about half the island remains without power, the commission was able to issue a draft decision by January 3. This is a light-speed pace for a U.S. energy regulatory body, even under good circumstances. 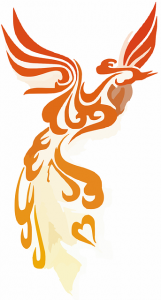 Often energy proceedings extend for many months or even years before even a preliminary decision is reached. SEPA has been closely involved in restoration efforts following the hurricane. The organization advised on “Build Back Better: Reimagining and Strengthening the Power Grid of Puerto Rico.” The report formed the basis of a recommendation by New York and Puerto Rico for $1 billion in federal funding for microgrid development on the island. Another factor foretelling a strong microgrid market for Puerto Rico is the tremendous interest the industry is showing in the island. The commission received 53 sets of comments from different parties, among them AES, NRG Energy, Schneider Electric, and the Solar Energy Industries Association. In addition, note the microgrid development already underway. Several companies and organization have begun installing microgrids, some as quick measures to restore the island’s power; others with a more long-term view. They include sonnen, Tesla, the Distributed Wind Energy Association and the US Army Corp of Engineers. Sunrun is building a solar plus storage microgrid at the Barrio Obrero fire station in San Juan. Others like New York State and AES are offering to help with extensive microgrid and mini-grid plans. Last, note the focus and depth of thinking about microgrids that went into the draft. The commission clearly defined the kind of microgrids it wants on the island: renewable, combined heat and power, or a hybrid of the two. Diesel use is allowed, but limited. Leader sees the guidelines helping other commissions nationwide as they contemplate microgrid policy. “Not just in Puerto Rico, but for anyone considering a microgrid, there is a good set of definitions,” Leader said. The proposed rules allow for a broad range of ownership: Individuals, partnerships, customer cooperatives, municipalities (alone or groups), non-profits, for-profits, government entities, and the island’s utility PREPA. Other ownership models also would be considered pending commission review. 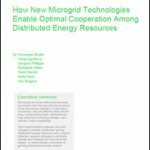 In recognition that not all microgrids are the same – in fact they can be quite different – the commission categorized them based on size, ownership, and whether or not they self-supply. Rules are ascribed to each category. Interested parties now have 30 days to comment. Join energy leaders at Microgrid 2018 for discussion about Puerto Rico’s future. Puerto Rico Wants Microgrids. But Will its Rules be too Rigid? Will Massachusetts Emerge as the Hub of the Microgrid Industry? Hopefully it was just a grammatical oversight, but Puerto Rico is not a country. It is a U.S. territory. Additionally, the Puerto Rico Energy Commission, while technically considered a regulatory body, lacks the clout found in similar bodies within the Continental United States, so their support on this issue isn’t necessarily something to get excited about. Thanks for pointing out the misprint, Jamie. Fixed “country” reference. Microgrids represent a relatively new concept that requires adapting existing frameworks. 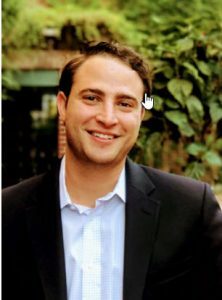 Because of that, projects must involve careful coordination between the developer, utility and the developer’s energy consultant to ensure a successful outcome. 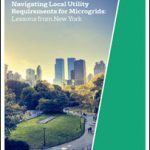 Download the new white paper from Velioa that explores how to navigate local utility requirements for microgrids.